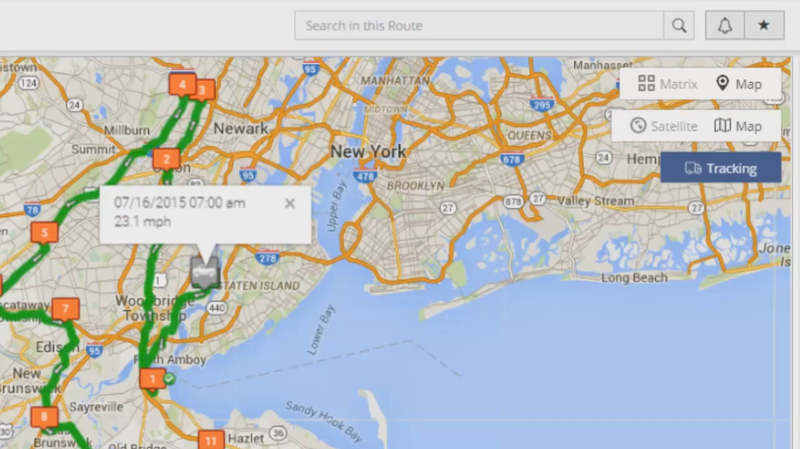 Route optimization software is a great tool to streamline your route planning process. But, this is only true if you use the right software. Has already planned a large number of routes successfully before. Has a large satisfied customer base. Has advanced technology in place. We at Route4Me know this very well and fulfill all the critical requirements. This is why our software is the most downloaded mobile-enabled multi-stop vehicle route planning software on the planet (over a million downloads). Route4Me’s fleet route planning software tracks millions of device location updates per day. And, it is already being used to make over 100,000,000 visits per year. We have matured our Operational Optimization platform over the last seven years and eliminated intersystem inefficiencies. This helps your business operate with ease and zero hassles. This helps Retail-End-Users and Route4Me API users leverage our platform without learning about the complexities of route optimization. They also don’t need to learn about building a massively scalable telematics platform. Our unique routing engine is 100% RESTful and has portable algorithm backends. The latter solves a variety of complex problems in a single HTTP request. 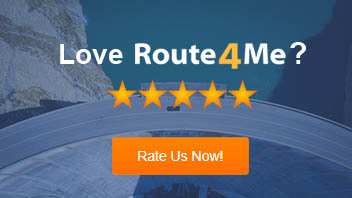 Furthermore, Route4Me is an integrated telematics platform. This enables dispatchers and field-service personnel to plan, manage, and execute delivery routes. By collaborating and using real-time data from the field, our software will enhance your organization. It will also reduce your operating expenses. It does this by providing more accurate in-field data about deliveries, service stops, and pickups. Curtailing the amount of time needed to plan an optimized route. We pride ourselves on our advanced technology. It has helped millions of customers trust us as their go-to source for their route planning needs. So, let’s first consider our technology. Legacy systems that have been ported with web-access often have several restrictions. But, that is not a problem with Route4Me’s routing optimization software. It is 100% cloud based and there are virtually no restrictions. It is also entirely plug-and-play and you don’t need to download any software. Multiple low-latency edge points-of-presence for ultra-low latency route optimization. The system is written and hosted by using entirely open source components. But, our code base and optimization engine are proprietary and there are no licensing conflicts. Our vehicle route planning software is available on both iOS and Android. The mobile apps interface with our RESTful API by using a combination of synchronous and asynchronous requests. They also use push messaging, instead of wasteful polling. All system activities trigger pushes to the connected devices and all the users can see the updates in real time. The unified telematics platform can also consume data from third party GPS units, smartwatches, gauges, and OBD devices. We designed our optimization engine from the ground up with high-performance and compiled language, with static compilation. This helps it function at speeds exceeding those typically found in Real-Time Bidding (RTB) advertising environments. The optimization engine, which runs on any flavor of Linux, can optimize thousands of routes per second. It can even do so on a single low-end commodity server. A 10-stop route is optimized in under one millisecond. A 50-stop route is done in 30 milliseconds. A 200-stop, multi-depot route is optimized in less than 300 milliseconds. A 500-stop, multi-depot, multi-vehicle, multi-period route is optimized in three seconds. All these are done on low-end commodity virtualized cloud hardware and in constant-time. Our distributed asynchronous messaging library, distance matrices, and OSM-based distance generating engine are completely in-memory and run in a 100% SSD environment. In this way, what-if scenarios, simulations, and re-optimizations are even faster than cold-cache hit optimizations. 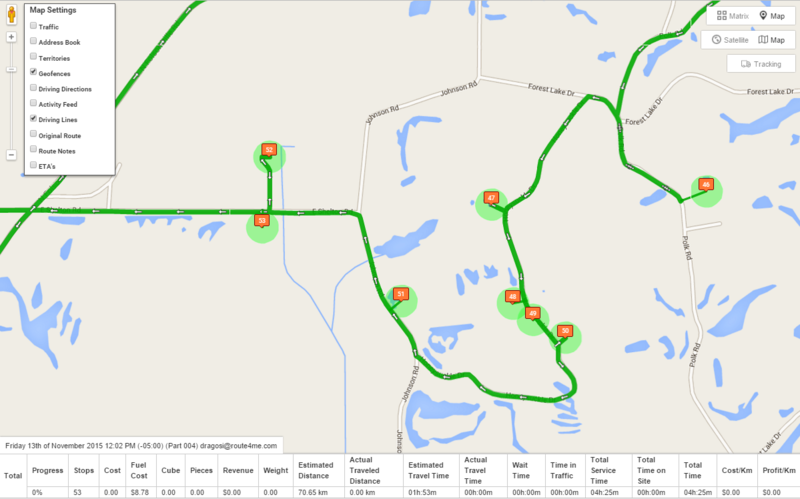 A perpetual GPS tracking history of each route and device. The system also regularly monitors over 100,000 distinct mobile devices per month. Our geocoding and matrix generating clusters create road-level driving distance and time matrices. It does this at the rate of hundreds of thousands of addresses per second. For greater capacity, you can add servers to the Active/Active optimization pool in one or more availability zones. The system will then scale horizontally to meet any demands. In this way, we can maintain a carrier-grade QoS level. 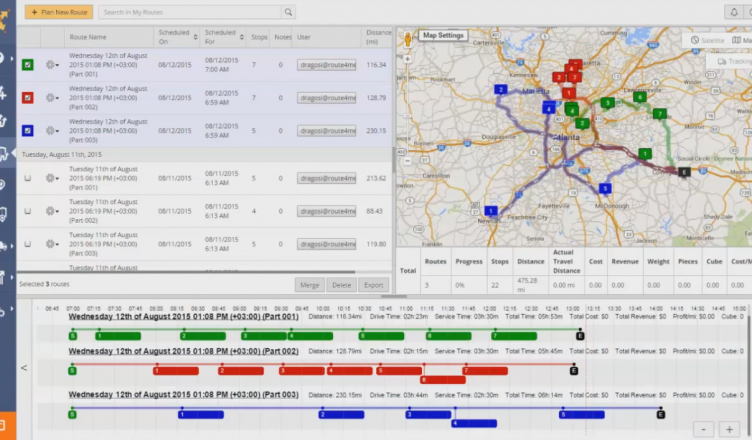 Our RESTful optimization engine can function independently of our telematics platform. It can do so behind a firewall or inside your secure AWS environment. You can use this for confidential deployments and those that require the lowest amount of latency. We have a team of talented and experienced engineers. They work on improving our product continuously to make it future proof. For example, for larger routes, our engineering lab is developing an accelerated version of our optimizer. This uses the CUDA GPU platform to yield a very high routes/core/second compute density. Also, as a team building activity, our engineering lab is currently integrating our API with GPRS powered UAVs. This is done to fulfill optimization for aerial routes. Route4Me APIs track every metric of our system and how it is used. The data can be exported with callbacks to S3, Vertica, and Amazon Redshift as destination end-points. And, future releases will permit trickle loading and streaming into the data warehouse of your choice. This will be particularly useful when using Vertica’s WOS, VoltDB’s export tables. This exports data directly into your private Vertica cluster. It will also be helpful when using Amazon Kinesis. Now, let’s take a look at Route4Me API and how you can start using it with no hassles. Class 1-8 truck routing with height, weight, tunnel, and bridge constraints. Our APIs also support both JSON and XML formats in synchronous or asynchronous modes. And, we have our own API management, metering, and authentication layer. Let’s take a closer look at the types of Route4Me APIs that you can integrate with your system. An optimization problem refers to a collection of addresses that need to be visited. It is preferable to create such a problem with as many orders in it as possible. In this way, the optimization engine is able to consider the entire problem set. Get all optimizations belonging to a user. Remove an existing optimization that belongs to a user. Insert an address into an optimization, resulting in the recalculation of optimal routes. Remove a destination (an address) from an optimization problem. Re-optimize existing optimizations by changing some parameters or addresses. A route refers to a collection of addresses which are usually sorted in the most optimal way. Each address can have attributes, constraints, and metadata. These influence how the route is sequenced. For usage details, see curl examples in the Route folder. Create a new route with an optimization problem solution. Get a limited number of routes that belong to that user. Get an address from a route. Move a destination to another route. Share a route via email. An order is a document from the consignee, shipper, or owner of freight. It orders a terminal operator, carrier or warehouseman to deliver freight to another party. Add an address to the existing order. Insert an existing order into an existing route. Insert an existing order into an existing optimization. Get all orders that exist in the Route4Me account. Remove an order from the Route4Me specified account. Mark an address as Detected as Visited. Mark an address as Detected as Departed. Mark an address as Visited. Mark a destination of a route as Departed. Geocoding is the process of converting addresses into geographic coordinates. So, changing “1600 Amphitheatre Parkway, Mountain View, CA” to “latitude 37.423021 and longitude -122.083739. You can use this to place markers on a map or to position the map. For a detailed list of commands, please visit here. GPS tracking refers to the surveillance of a location with a GPS unit to track the location of an entity or object remotely. This technology can pinpoint the longitude, latitude, ground speed, and course direction of a target. A member refers to an authorized user of the Route4Me API. Please review the document for a detailed list of commands here. A note refers to an assigned text note to a route or address object. For s detailed list of commands, please visit here. You can view a detailed list of commands here. An address book refers to a user’s location repository. An avoidance zone is a geographic region or territory defined by a user for an optimization problem. Please read the documentation for a list of commands here. A territory refers to an area that is made up of smaller areas that are joined together. We can help your system interact with Route4Me API’s in C#, Java, PHP, Ruby, Node.js, Python, VB, and more. We hope that this information proves useful for you. If you have any questions, please feel free to reach out to us. Alternatively, leave your comments below and we’ll get back to you soon.